The headliners will include Todd Kashdan, author of the must-read book Curious? and a strong voice in positive psychology for an emphasis on meaning over happiness; Laura King, widely cited in positive psychology circles for her unique, narrative approaches to meaning and wellbeing (such as her well-known work on the practice of journaling about your “Best Possible Self);” and, of course, Paul Wong, who literally wrote the book on meaning. The first honoree is Chris Peterson, a professor of psychology from the University of Michigan. Chris (he’s such a lovable guy, it’s hard to refer to him as Professor Peterson) was one of my professors in the MAPP program. His Primer in Positive Psychology laid the foundation for my studies in the field and his Handbook on Character Strengths and Virtues (often referred to as a “manual of the sanities”) has changed the face of psychology forever. I previously featured Chris’ wonderful Psychology Today blog, The Good Life, on my list of favorite blogs. 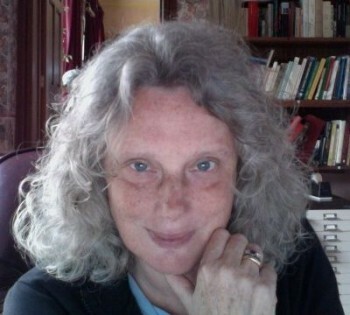 The only honoree I wasn’t previously familiar with is Dr. Emmy Van Deurzen, founder and principal of the New School of Psychotherapy and a big voice in existential therapy. I am fascinated by this approach as it sounds like it overlaps with the ideas of psychological flexibility and Acceptance and Commitment Theory, which I think represent the future of psychological wellbeing. Existential therapy is based on authenticity, and getting a deeper understanding of the human condition by accepting certain “givens” about life (e.g., impermanence, isolation, meaninglessness.) Accepting these realities of human existence allows people to take responsibility for their lives and gives them a freedom to align their actions and choices based on their personal beliefs and values. The existential therapy approach particularly resonated with me due to its holistic nature. In existential therapy, people are considered based on their orientations along four interwoven dimensions: the physical, the social, the psychological and the spiritual. If any of you reading this will happen to be at the conference in Toronto, I’d love to hear your report on any of the sessions and would gladly post it here for other TPOW readers to enjoy. In the meantime, congratulations to these honored researchers who are helping us to explore the deepest questions of humanity. van Deurzen, E. (2010). Everyday Mysteries: A Handbook of Existential Psychotherapy. Routledge. Wong, P. T. P. (2012). 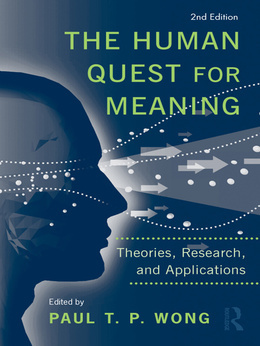 The Human Quest for Meaning: Theories, Research and Applications. Routledge. The early bird deadline for the International Meaning Conference ends June 15. To register, or for more information, visit http://www.meaning.ca/. Coming soon! New e-book on The Psychology of Spas and Wellbeing! 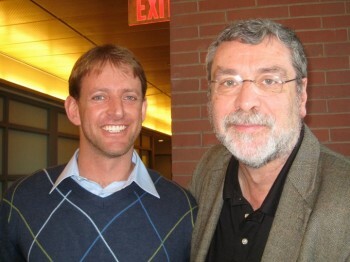 For more information, the website for the Canadian Positive Psychology association is at http://bit.ly/CdnPosPsych – conference is July 20-21 – and our complete speaker list is on our website as well. Too bad. I wasn’t able to attend also. I was not given the 3 days leave that I requested on my company. I wanted to attend this conference because it’s about psychology and human perceptions.